It provides 3D interactive animation of full-body exercises and audio cues to take you through the workout and make it easier to see how the exercise is supposed to be performed. You control the angle. You control the zoom. Also, providing healthy meal recipes, makes Fitonomy the first app of its kind. - DO IT ANYWHERE: Outdoors, at home or at the gym - you don't need machines, only your own body weight. - PROVEN PLANS: Tested customized exercise workout plans that help people lose weight, tone up, gain muscle, increase cardiovascular fitness, increase strength, learn about exercise and nutrition. - 3D INTERACTIVE ANIMATIONS: No more guessing. See exactly how the exercise is meant to be performed. The exercise is shown in a 3D space. Pan around and zoom in to cover every angle. - HEALTHY RECIPES: Take a quick survey and Fitonomy will create a custom meal plan for you, suggesting 100% healthy meals. - DAILY ADVICE: Follow a few of our trainer's advice into your daily routine each day and watch your health change. - ARTICLES: Professional level health and fitness articles that are updated on daily basis. - REMINDERS: Get reminded every so often to stand up and do your exercise. - 200+ EXERCISES : They’re an awesome overall body strengthener and will condition you like no other exercise can. - FULL SUPPORT & MOTIVATION : Our friendly Support Team is available to help you 24 hours a day, seven days a week. Fitonomy is equipped with a psychological mechanism to keep you going and give it your all. You can download Fitonomy for free and use the 3D exercises, healthy meals and articles. You can choose between monthly or yearly subscriptions to access our customized workout and daily meal plans. Monthly subscriptions start from $4.99 per month (Price may vary by location). Payment will be charged to your iTunes Account at confirmation of purchase. Subscription will automatically renew unless auto-renew is turned off at least 24-hours before the end of the current period and cancellation of the current active subscription period is not allowed. Account will be charged for renewal within 24-hours prior to the end of the current period, and identify the cost of the renewal. Auto-renewal can be turned off in your Account Settings in iTunes after purchase. Fitonomy has Apple’s HealthKit integrated. The app will show step counting every day. Fitonomy is your training solution to becoming your strongest and fittest self. You will be amazed at what your mind and body can accomplish in a few weeks of training with Fitonomy. When you are in the middle of a workout, speed and stability matter. Fitonomy app is now more reliable than ever. Found a new bug or have a suggestion? Add On: I’ve noticed people complaining about money issues with this app. Apple deals with the subscriptions, so if you’re trying out the free trial, as like I, & you apparently don’t like it, you would need to cancel through your settings on your phone all before your trail is up. This app won’t notify you about trial ending because it is your responsibility. I’ve struggled with my weight ever since I graduated High School(3yrs ago), & struggled even more once I got married. I use to weigh 132 and gained 40 lbs. It’s really hard to get back into my exercising routine & Fitonomy really helped. fitonomy has pushed me to achieve my daily goals & show so many positions that are super easy yet intense. 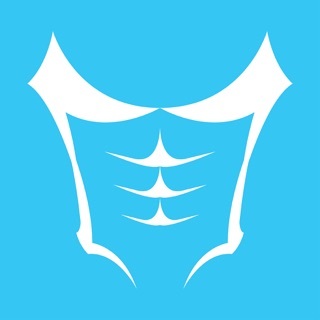 Also this app shows the muscle you should focus on when it comes to a certain position, & starts you off with easy mode, let’s you know the amount of calories you’ve burned, and has options from weight loss, to yoga, to improving flexibility, strength & balance, cardio workouts, pregnancy workouts, & if you have a bad posture/feet that turn in or out etc. Hands down the best app to start your fitness journey!